It is 1898. 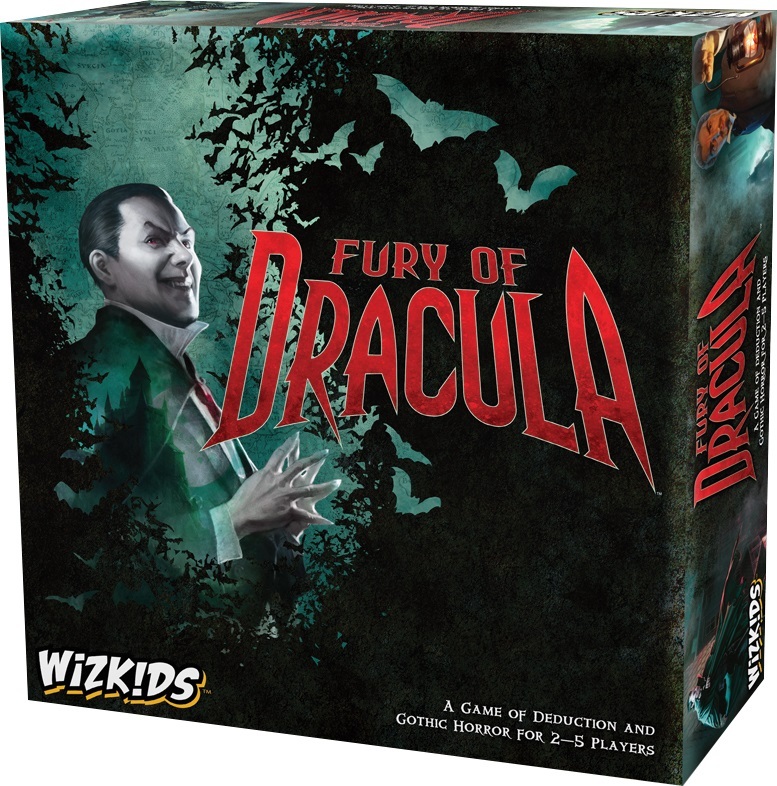 London has returned to peace for eight years following Count Draculas thwarted plans, or so they thought...In Fury of Dracula, one player is Count Dracula secretly traveling the European countries, turning humans into vampires with his gruesome bite, and laying deadly traps for those hunting him. The Count`s opponents are the Hunters who must find the bloodthirsty villain and destroy him before his undead thralls claim the night as their own. 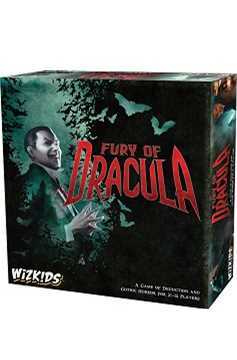 This WizKids print of the classic hidden movement vampire hunt includes a new and improved rule book; larger, poker-sized cards; and fully painted figures for Dracula and each of the Hunters. This updated and improved version of this thematic classic is a perfect addition to any board gamer`s shelf! 2-5 player Ages 14+ 2-3 hour play time.